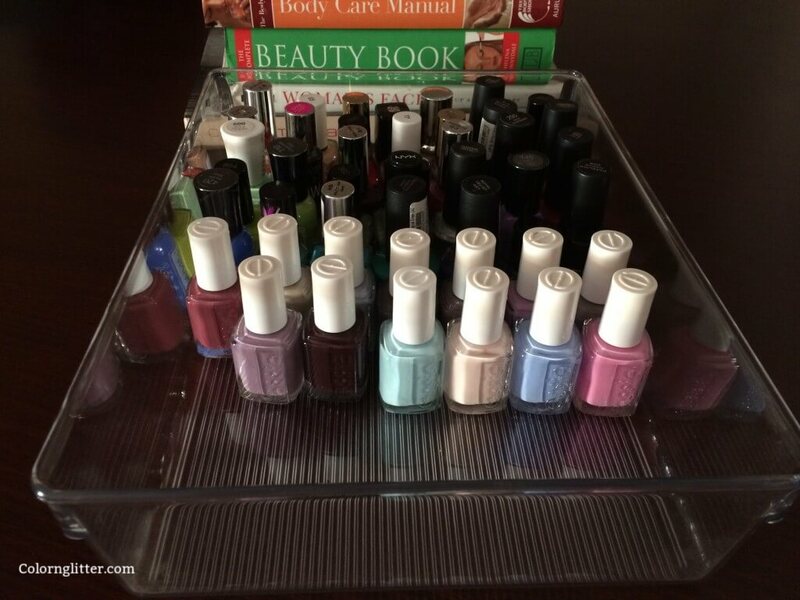 Over the past few years, I have carefully selected and added various things to my collection – this includes makeup, fashion/junk jewelry, nail polishes and clothes. Till last year I was so caught up with work that in spite of having accumulated things that I had picked up with so much passion and love, I couldn’t use most of it. In a hurry I often reached out for whatever was most accessible. Which means, there are a whole lot of wonderful things that I haven’t used even once because they are tough to dig out. 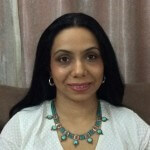 Life went on and I moved into the next phase of my life – motherhood. I had no idea that little babies are capable of generating work enough to leave one thoroughly exhausted. So I got busier and all my favorite things got into a bigger mess. I have now decided that I will get more organized. I thought I’ll share my experience of getting things in order with you. 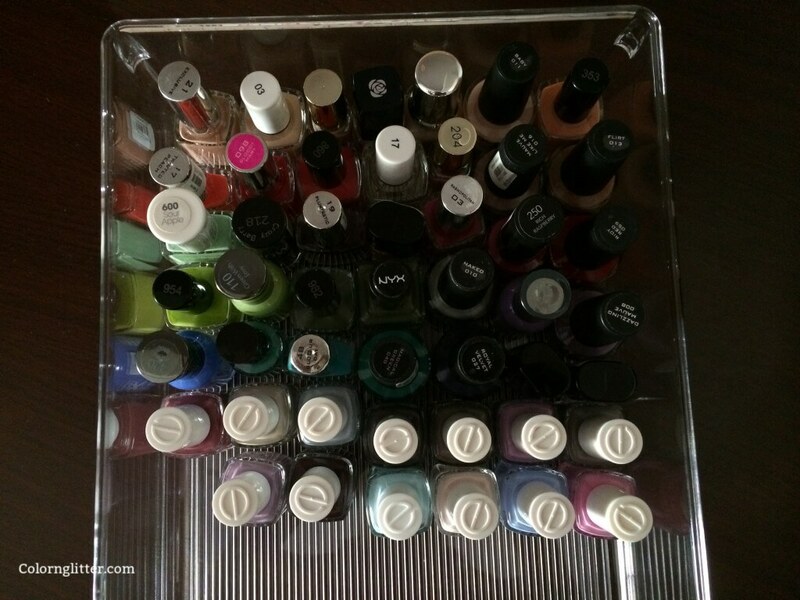 I decided to start this endeavor with arranging my nail polishes such that they are more visible and accessible. I wanted the arrangement to look pretty too. So I began putting them in this glass bowl. I liked how they looked and I could see the colors as well but I was apprehensive of damaging the glass bowl. Moreover it wasn’t very convenient to take out the bottles. I found this dresser from Inter Design while browsing through the storage section of Homestop (a lovely store with everything you would need in your home and kitchen). 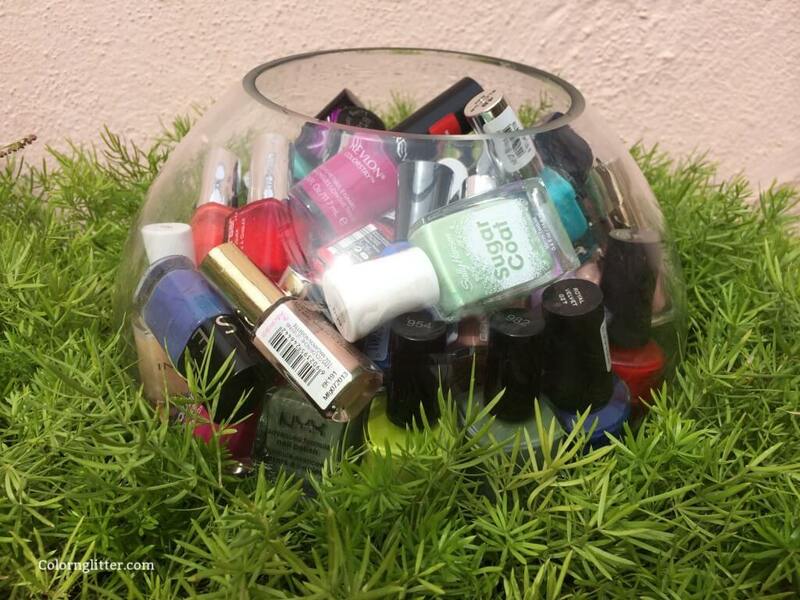 While it is not meant for nail polish bottles, I thought I’d try using it for storing nail polishes since it was transparent and the height seemed perfect to house nail polish bottles. This dresser is basically a tray (dimensions – 22.9cm x 30.5cm x 7.6cm). I like the way this arrangement turned out. 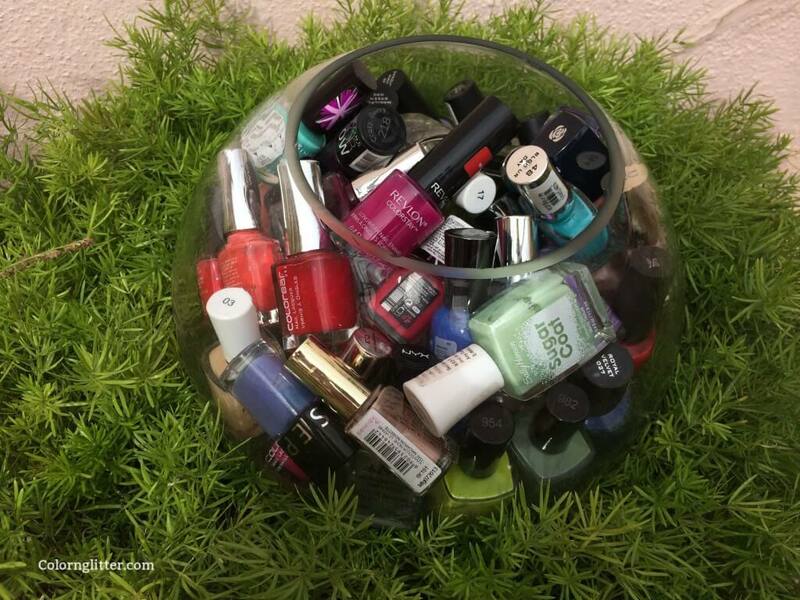 I can see the colors of the bottles as well as numbers of the nail polishes (for those which have labels on top). 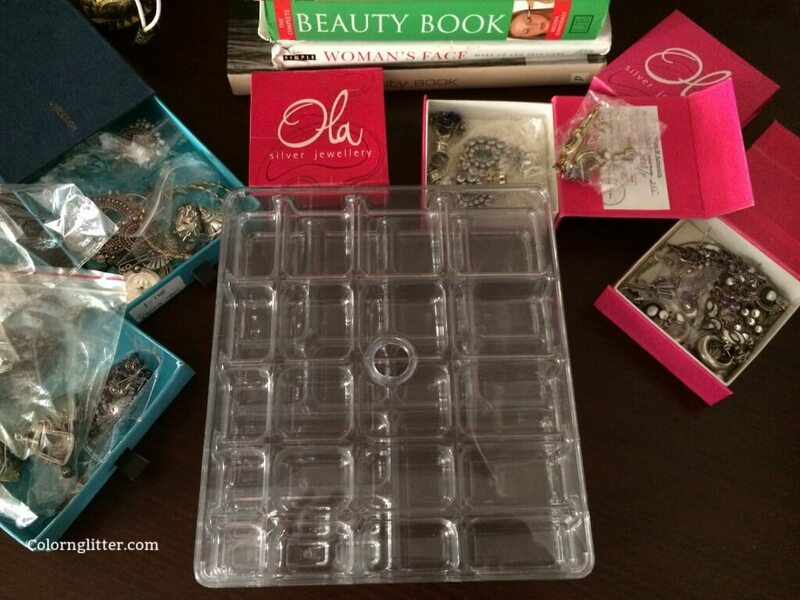 While I was at Homestop, I also bought this jewelry organizer. 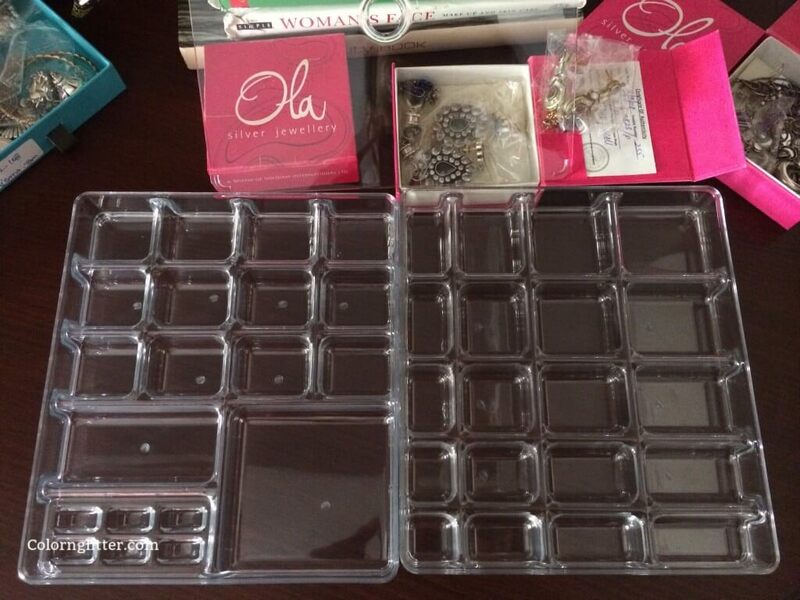 It is called the “Stacking Jewelry Organizer”. This is also from Inter Design. I like the fact that it is completely transparent. I can quickly peep in and select the ones I want to pick as per the outfit and occasion I am dressed for. So far, I’ve had my junk jewelry live in opaque cardboard boxes and therefore some of them never see the daylight. On a side note – I love junk jewellery so much than gold and silver jewellery which has to be kept in lockers and you hardly get to wear it. These days even junk jewellery looks nothing less than gold or silver and they come in such pretty designs. 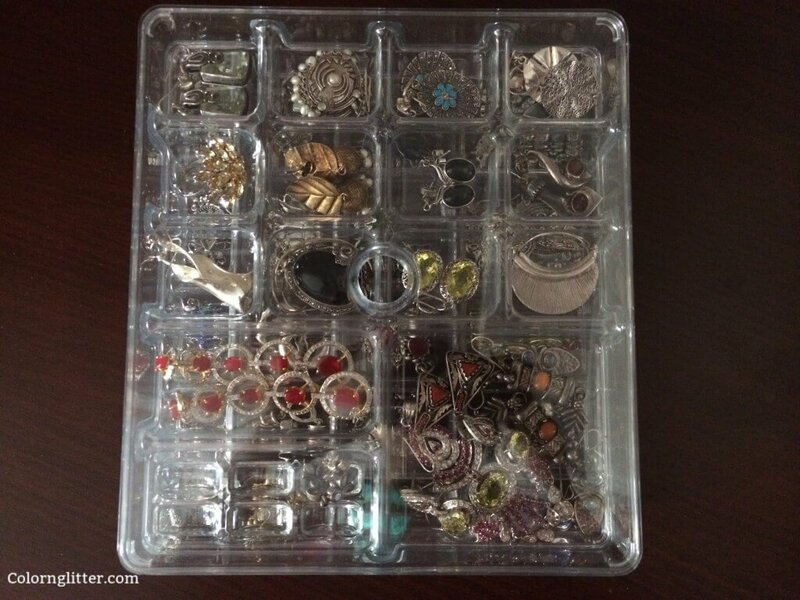 This earring organizer has two tiers. 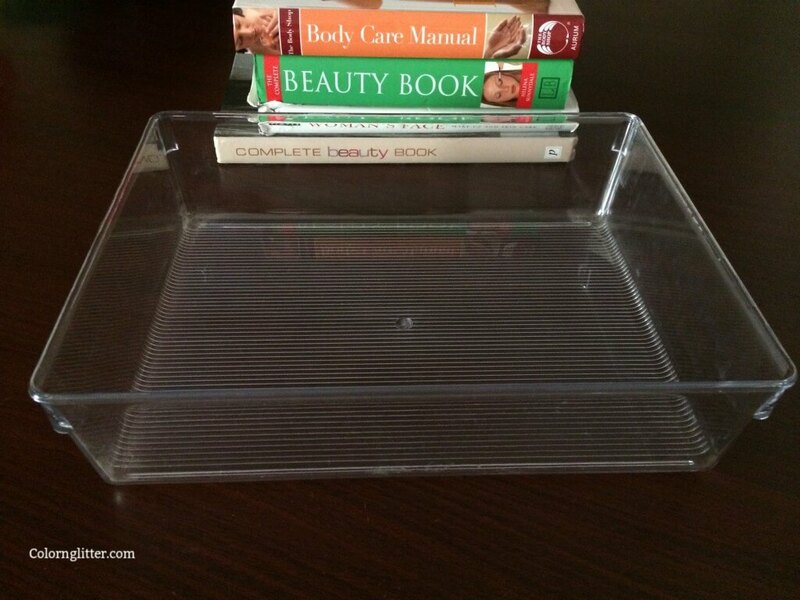 It has 2 trays, which can be placed one over the other and the one on top has a lid. The trays are 22.2cm x19.7cm x 7cm. Both trays put together have 40 compartments. 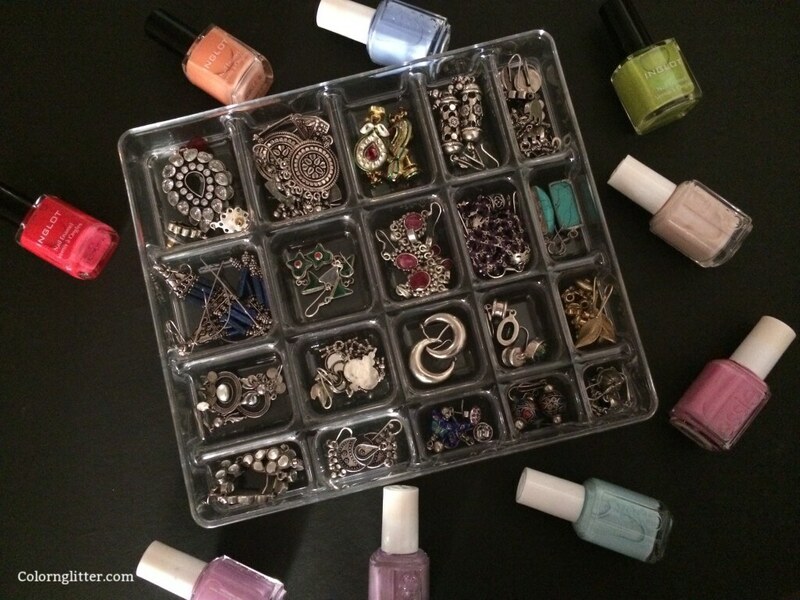 Tray 1 has 14 compartments of varying sizes and 6 ring holders. Tray 2 has 20 compartments. 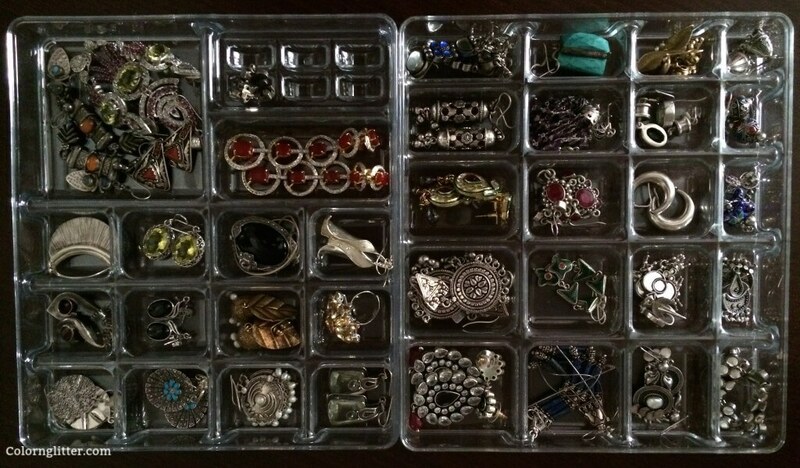 I don’t have too many rings so I am using all compartments for my earrings and pendants. Now am now quite satisfied with my current earring situation and I may buy one more such box to store the rest of my junk jewelry collection.